Increasing the number of times your practice shows up in local search results is critical to marketing your healthcare practice online; but once you’ve set up the basics, how can you outperform competitors? This post will show you what you need to do to make sure your business always comes up in the 3 “Google Maps” (called Google Local Pack) spots in Google search results, which means you’ll always be visible to patients who search for treatments, conditions, and searches you provide in Google. Enhancing your Google business profile (called Google My Business) is one of three recommended ways you can promote your medical practice online to reach everyone in your Google designated geolocation. How do you get your Medical Practice on Google Maps? Before you can begin to enhance your Google location on maps and in the local search 3-pack, you’ll need to make sure you are properly listed. If you’re already on Google My Business skip to the next section. Type in “Google My Business” in Google. Enter basic details (name, address, phone number). Wait 4-14 days to receive a verification postcard from Google. To claim your profile, enter the verification code on the postcard on your newly created (unclaimed) profile. Optional: You may also want to include the ability for patients to book appointments through your profile, or include a chat platform that uses your mobile phone number so that people viewing your profile can send you a message (via text). The more activity on the profile, the higher Google perceives your authority. The higher your authority the more Google rewards you. Authoritative profiles are ranked more often in the 3 maps search results, and are usually ranked #1 if you’re outmaneuvering your competitors with actions like the ones listed below. This means lots of patients seeing your practice’s name, for free. Increasing reviews on your Google profile is the number one thing you can do to prove to Google that you are the most authoritative practice in your area. It’s also a tremendously powerful form of marketing because previous patients promoting their experience is an indication to future patients that they’ll have a similar positive experience. Use an automated online review management tool. Use in-office signage to remind patients how and where to leave a review..
Online Reputation Management from tools like RepCheckup provide the easiest path, because it overcomes two major inefficiencies: ensuring staff remember to give (the right) instructions, and removing barriers for patients (who are apt to throw out business cards, or simply forget). Reviews on Google My Business are the most valuable to your practices search rankings compared to healthgrades, Facebook, yelp, and every other business profile. This is because Google awards it’s own profiles as having the highest authority online. Once you have a core of 12 images added to your profile, ideally you’re posting images frequently (which means more pictures, more often that your competitors). The more pictures you have posted and the more often you’ve posted pictures ensures that you capture the attention of Google, which means that you’re also better capturing the attention of patients. Google provides a slight boost to your profile because it’s easier for it’s algorithm to ‘read’ your image and identify it as something related to your practice. Google My Business Posts help differentiate you from your competitors. Using Google Posts is another signal to Google that you are engaging with their platform, which means more patients will see your profile. Take up additional screen space (they double the size of the traditional Google profile), which means they will help prospective patients take notice of your practice. Can be updated weekly and should be used to build awareness or drive a specific action. Allow you to upload an image, write up to 300 words, and add a button ““Learn More”, “Reserve”, “Sign Up”, “Buy”, “Get offer”. 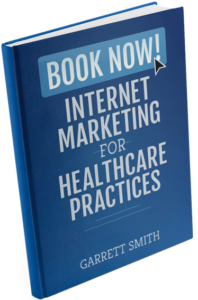 Posts are especially useful for non-traditional marketing: If you want to promote your book, or if you’re giving a presentation or seminar, your patients and prospective patients will see what you’re showcasing and encourage them to interact with you. Together, each one of these three activities on your practices Google My Business profile encourages Google’s search algorithm to give your practices profile precedence in local search results. For more ideas on how to promote your practice online, read about Google Advertising and Press Outreach.